To furnish the diverse requirements of clients, we are engaged in offering Dashera Program Security Guard. 1---- CNC Programming services CNC turning centre only. 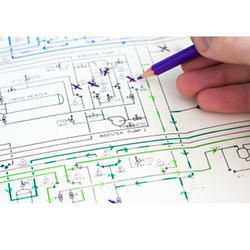 OMCIS plans and organizes In house or outside Training Programs . Programs can be customer specific . Every year OMCIS plans and circulates Training Calendar which gives Training Subject , Venue , Faculty , fees etc. - Training to sales traders /dealers on focused communication with institutional clients. - Training on profile based selling for regional manager level personnel. Corrosion control in Oil & Gas Production. Our Trainer and Assessor is an internationally qualified Assessor A2 from Scottish Qualification Authority (SQA), U.K. and Singapore. He is also an approved CompEx trainer from Aberdeen, Scotland with over 25 years of hands-on experience. 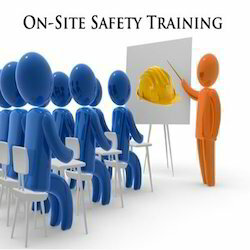 We offer fire and safety courses for diploma and degree holders. Live Wire Lisam Workshop in progress. Actual Video shoots shown by he Trainer. Highly learned. Robust industrial experiences, coupled with domestic & international trainings & audits. The Academy offers Consultancy Services and conducts In-house Training Programs for the Corporate and NGO sectors, so as to enable them in developing their internal capabilities for HRD/OD. Our primary concentration in the capacity building activities is on integrating the "software" of human processes with the "hardware" of structures, systems and procedures. A certificated course that defines, assists and instils confidence to those people who have a key role with the management of fire safety in the workplace. This course covers both emergency and none emergency issues for this vital role. Training Coordination Program – This service offering provide an end to end support to our customers for conducting the training program for experienced and fresh hires from campus or market place. Scope - Following activities are part of the scope.